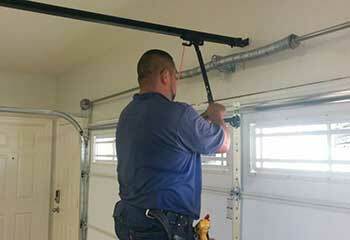 Is your garage door acting up? No matter what part of it is causing you problems, you can rest assured that our technicians can handle it. Take a look at some of our latest projects to see why we're so confident in our skills. 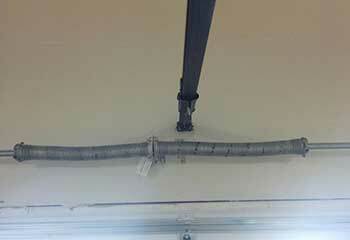 Customer Issue: Mr. Gaines was unable to get his garage door open when his extension spring broke. Our Solution: Our technician replaced the extension spring with a new unit and then checked the door to make sure it was working properly. Our Solution: The customer purchased a new Chamberlain B970 belt-drive opener and wanted us to install it, so we disconnected and removed his old unit and quickly set up and connected the new one. After installing it, we tested the new opener to make sure that it worked properly and showed the customer how to use all of its features. Our Solution: The track was too severely dented and bent to merit trying to repair it, so we carefully removed it and installed a new one in its place. 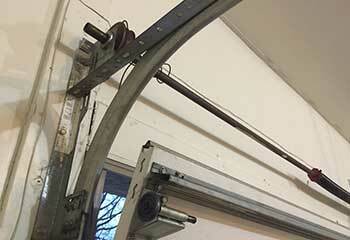 We then made sure it was completely aligned with the door and that its rollers were able to move along it effortlessly. 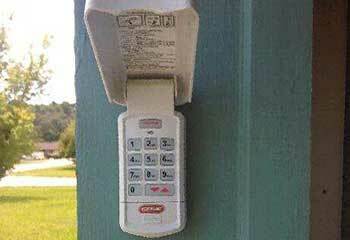 Our Solution: The Amarr® 860 Smart Wi-Fi garage door opener model that this customer had lost the connection with its remote, so we reconfigured the opener and recalibrated it with the remote control. We then made sure the system was working properly again.